Over 20 years ago, a young man with a push mower and some ambition set out to make a summer's living. Back then, the company called Brad's Lawnmowing Service cared for 10 customers with a crew of one using a Toro walk-behind mower. 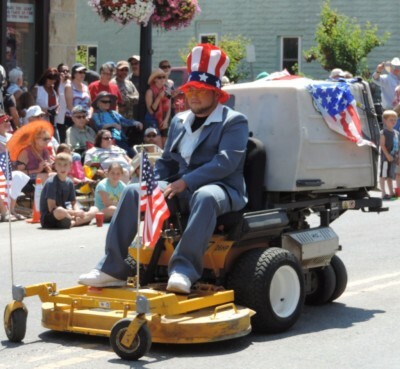 After several successful summers, having grown the business, Brad's Lawnmowing Service was incorporated and renamed Pro Cut Lawn Care. Today we still care for many of our original customers, but we've grown to maintain over 200 lawns with a summer crew of 25 people. We still pride ourselves on customer service: our company's vision for the future still includes having the time to talk personally with each and every customer about their yard and their needs. However, our steady growth allows us to consistently offer our customers a full range of lawn and landscape services delivered by an experienced and thoughtful staff. We take pride in a company whose employees look forward to returning to work every summer. In fact, the retention of our employees that take pride in their work may be one of the biggest reasons that you can tell a Pro Cut lawn from all the rest. Keeping new, efficient, and quality equipment allows us to maintain the best looking properties in town. 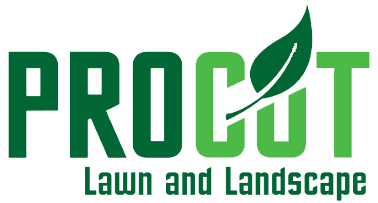 Pro Cut's customers value a dependable company that has the experience to take care of all of their needs. We look forward to taking care of yours! Unveiled on Earth Day 2012, the Pro Cut Green Fund was established in conjunction with the Red Lodge Area Community Foundation to support outdoor-based nonprofit projects. Nonprofit or government organizations can apply for funding to help their specific projects that target outdoor lifestyles, environmentalism, or conservation. 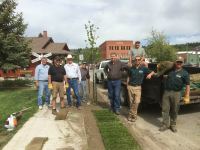 Pro Cut Lawn and Landscape has partnered with the Red Lodge Area Community Foundation to support organizations and groups to create Green Spaces that will continue to fuel "Green Thinking" for the future. The application process has been streamlined so that organizations can spend more time on their mission, not on paperwork. Learn more at the Foundation's Website. With a new garden and planters, children will be able to explore art, mathematics, and other science lessons as they research, plant, nurture, and harvest a variety of plants and flowers based on the letters of the alphabet. By transforming an old, unused habitat space into a patio and covered pavilion, the Sanctuary will be able to provide outdoor space for educational demonstrations, large groups, and other events. When you spend all day breaking new trail and improving existing ones you get hungry. We supported BRTA in feeding hungry, hard working Montana Conservation Corps members who were improving our local trails. We supportedJane Ferguson Wilderness Adventures in the Winter Backcountry day bringing local kids on a snowshoe adventure that included hypothermia education, building fires, and a few snowball fights! Another way to build future stewards of our green spaces is to put kids to work! We supported ABWF as they brought volunteers for trail work days -pulaskis and all! We know all about hard work and big appetites which is why we love supporting BRTA and Montana Conservation Corps members who work hard to make our trails enjoyable. When town’s most iconic park needed a little TLC we joined forces with Lions Club volunteers to lay down new sod and turf for everyone to enjoy. Red Lodge pays attention to details which is why the Red Lodge Proud and Beautiful and Chamber noticed that City Hall could use some sprucing up. We teamed up and made a memorial garden for Bob Moran. Backed by the Pro Cut Green Fund, we sponsored Community Trails Day, Which brought over 60 volunteers to build the Palisades Trail. We worked with the Abrsaroka-Beartooth Wilderness Foundation, the US Forest Service, and the Beartooth Recreational Trails Association to establish this beautiful new trail near Red Lodge.